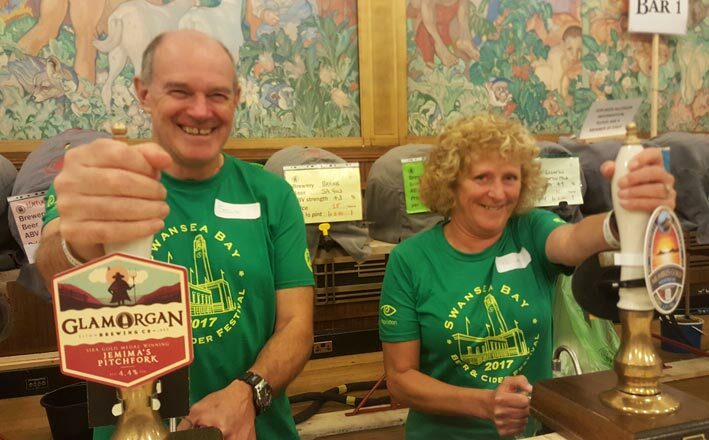 Swansea Camra members have put together a fantastic beer and cider list for their 32nd annual festival in Swansea. 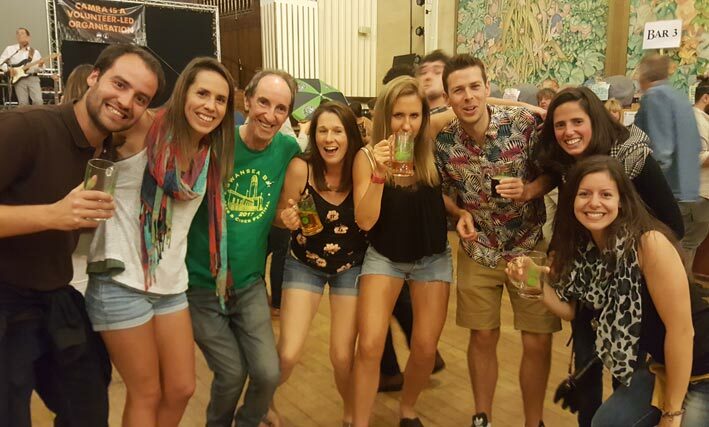 Drinkers will be spoiled for choice at August’s event, with 111 real ales, plus 50 ciders and perries on offer. This year we welcome Grey Trees as one of our two main sponsors for the first time. Grey Trees are recent serial Gold medal winners, in both the Champion Beer of Wales and Champion Beer of Britain competitions. 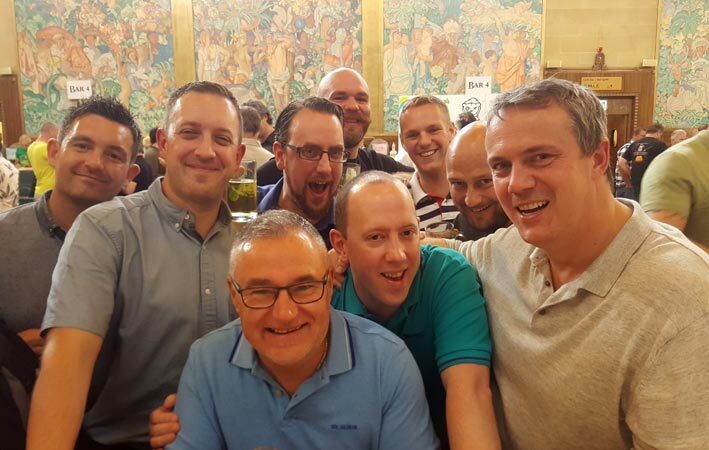 The Aberdare-based brewery has also picked up regional prizes from SIBA, the most recent being at the Wales & West Region competition at Ludlow in May for their Valley Porter. Look out for their bar, at which you’ll find six or more of their top beers. We also welcome back Gower Brewery as joint main sponsors for the 4th year and their top selling Gower Gold will be in plentiful supply. Beer styles on offer will include bitters and strong bitters, milds, porters, stouts and barley wines, pale ales, blonde and golden ales, and speciality beers including lagers, fruit beers, ginger beers and wheat beers. 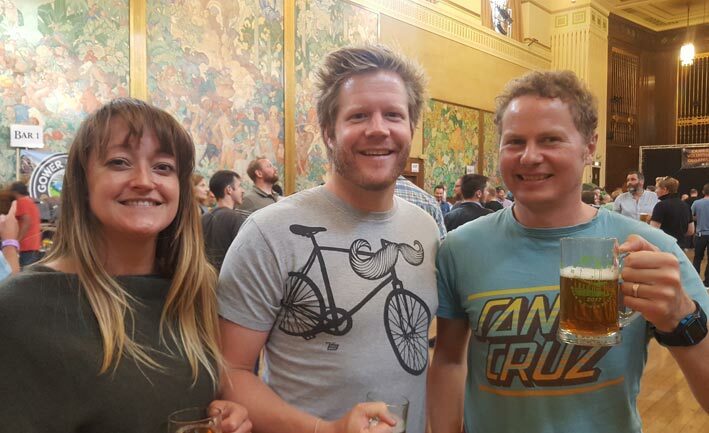 As well as brews from all over the UK, there will a good selection of beers from the vibrant Swansea and south Wales brewing scene, which has been transformed over the past few years with dozens of new microbreweries being launched to quench a consumer thirst for new and original beers. There are now more than 100 breweries in Wales. While large breweries and pubs have been closing during the economic downturn, microbreweries have been bucking the trend and seeing rapid growth. Recently established local breweries producing fantastic ales include Gower Brewery, Boss Brewing, Mumbles Brewery and the also Mumbles-based Pilot Brewery. Other newcomers to the scene are the West By Three Brewery and Beer Riff. 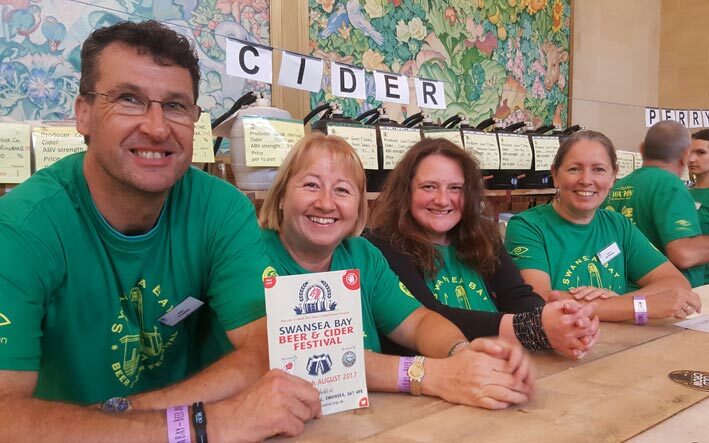 The Swansea Bay Beer & Cider Festival will be open from 5pm-11pm on Thursday, 23 August; and from noon to 11pm on Friday, 24 August and Saturday, 25 August. It is being held in the Brangwyn Hall, St Helen’s Road, Swansea, SA1 4PE. 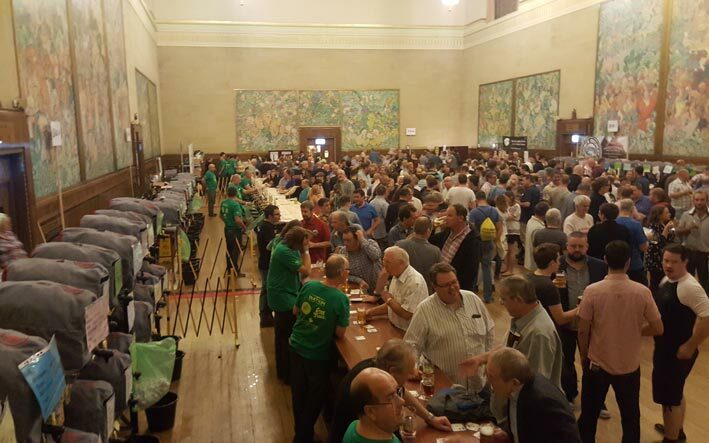 It will be our 12th annual beer and cider festival at the Brangwyn Hall, a unique venue with excellent facilities against a backdrop of the famous Brangwyn panels. A good range of hot food will be available in the Brangwyn bar and we will have a great line-up of bands on the main stage in the Hall. Tweke – played guitar in America at a very young age. Now matured into one of Wales’s most distinguished guitarists. He played with ‘Man’, ‘Wild Turkey’, ‘Blues Bunch’ plus sessions for many more. For more information, see our festival faq. Nearer the date of the festival we’ll be posting our beer and cider lists, so watch this space.